This entry was posted in Apps, Education, Entertainment, Internet, Parenting, Video Games and tagged Gaming, Mom, Parenting. Bookmark the permalink. Very interesting article. 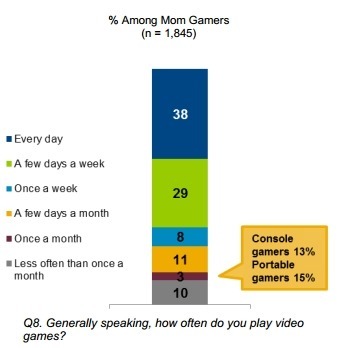 I think that mobile gaming is one of the biggest platforms of gaming out there. Small developers (which are most developers) naturally gravitate to this form of game as no publisher is required and if a game fails, it’s easy to get back on their feet. But more on topic I think that parents don’t monitor what their kids play enough and if they choose to allow their kids to play violent games, they need to understand all the dynamics at all. We don’t want a repeat of the 8 year old shooting the other day! Responsible parenting extends beyond video game monitoring of course. Violence can be attributed to many factors, I’m not sure attributing it solely to video games is fair (and not proven). I would imagine the open Gun culture in America is a big contributor to many of these kinds of accidents, both intended and unintended but I suppose that is a hot topic for another day ;-). I agree though that parents need to understand what their children are playing (eg. video games) to better assist them, I think that’s true for almost everything.